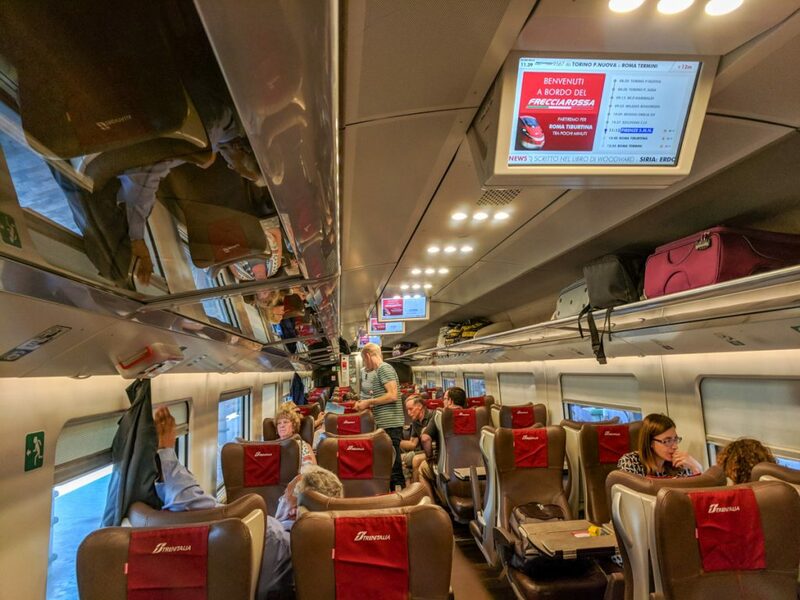 The Frecciarossa 1000 got me from Florence to Rome in an hour and half. 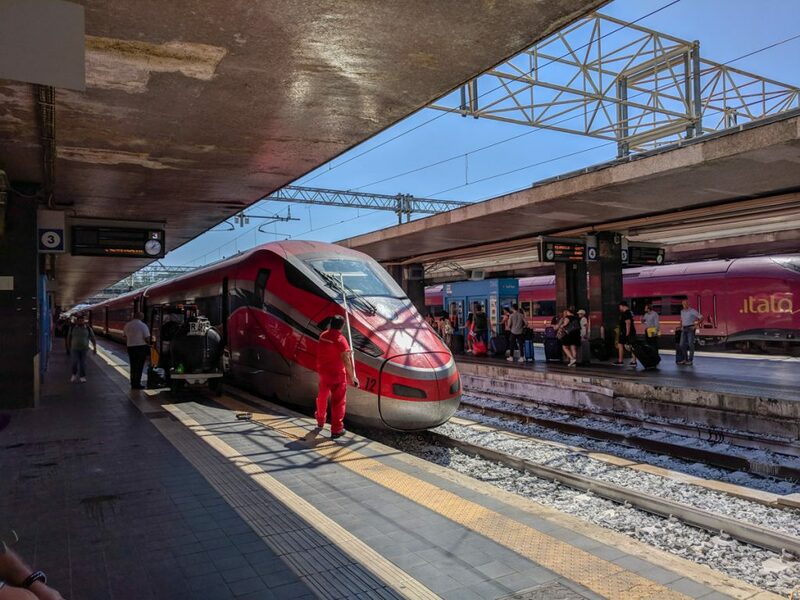 The Red Arrow is one of Italy’s newest high speed trains that can do almost 250 mph. It’s another win for travelling by train. My hotel was a 10 minute walk from the Termini Station. 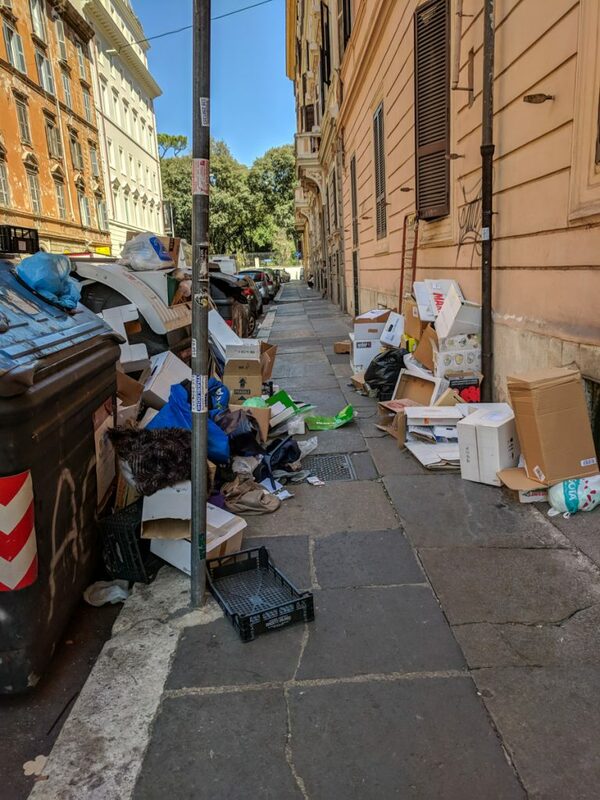 It was easy to find, go up three blocks, hang a right at the piles of trash, walk to the end of the street, hang a left at the overflowing dumpster… needless to say I wasn’t impressed by Rome’s cleanliness or ability to keep its infrastructure updated. 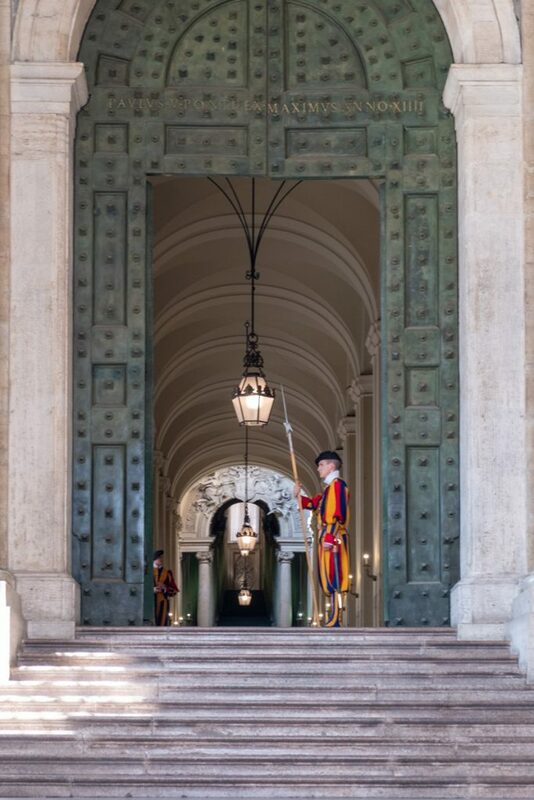 I was quite pleased with my hotel, a nice hideaway from the hot and humid weather in Rome. A little far from the sites to walk on foot, but close to a metro station so it didn’t really matter. The first thing I did was get a late lunch at a small hole in the wall pizza place near my hotel. It had good ratings on Google and TripAdvisor. There are no tables, you either get take away or stand and eat it at one of the shelves inside or out. 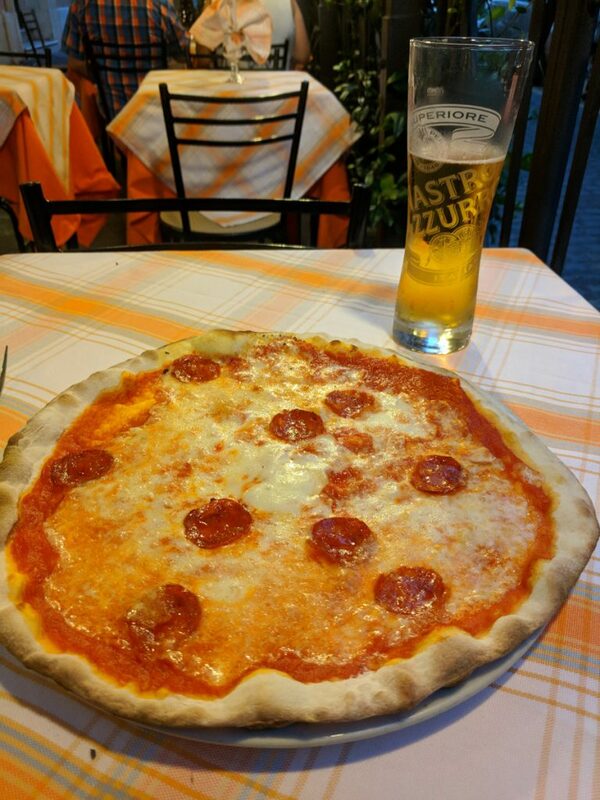 The pizza was really good and sadly, the best food I had in Rome. Only cost about 8 Euro with a Coke. I spent most of the afternoon working out some travel logistical details. Before I knew it, it was time to stuff my face again. 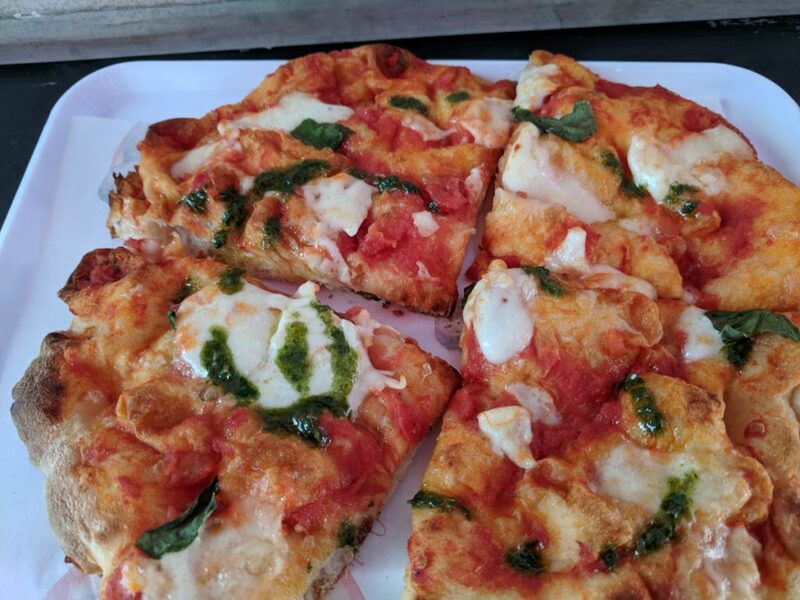 This time I mixed it up and had a pizza at another location. Lack luster, but the beer was good – Nastro Azzurro. A pale lager from Rome. I get the impression it is supposed to be better than the Italian Budweiser – Peroni. 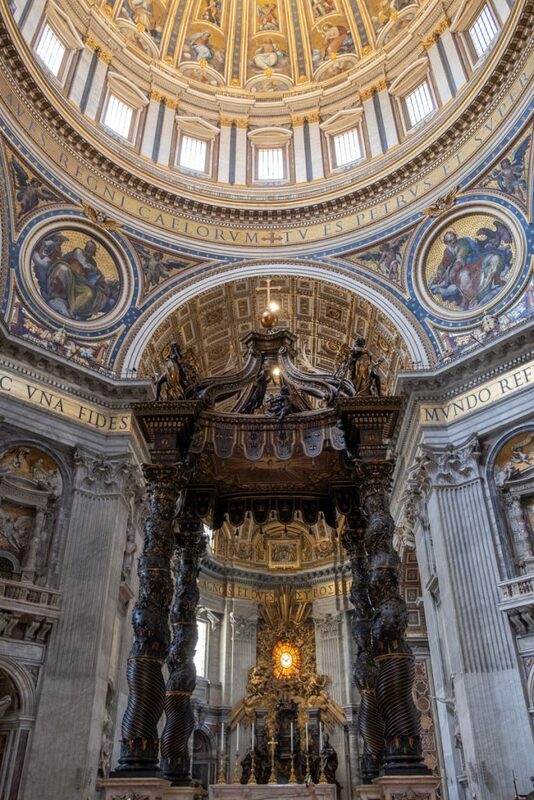 The next day I hopped the metro and took the 30 minute ride out to the Vatican to see the Pope. I know he is a busy guy, but figured he might take drop in appointments. 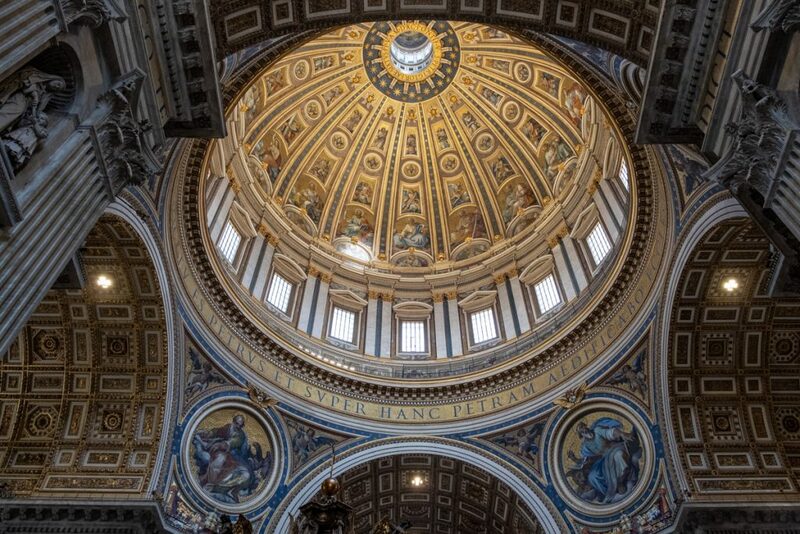 I decided to head to see the St. Peter’s Basilica before the Vatican. I had a timed entry at the Vatican for later in the afternoon when the crowds should be less, I learned my lesson in Florence. 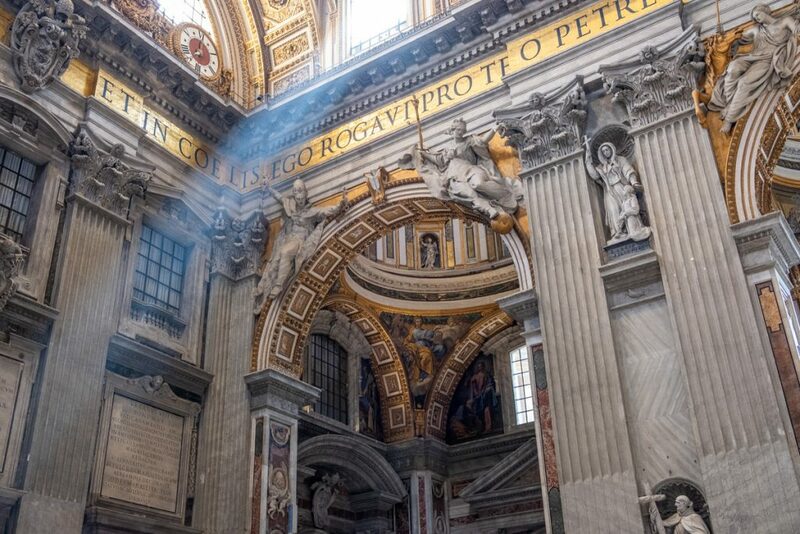 As I get close to St. Peter’s, the infamous tour guides that I saw in Florence are out in even greater numbers here. They are like a pack of wolves trying to pick off any stray that gets caught in their trap. I escape the gauntlet and make my way into the plaza. 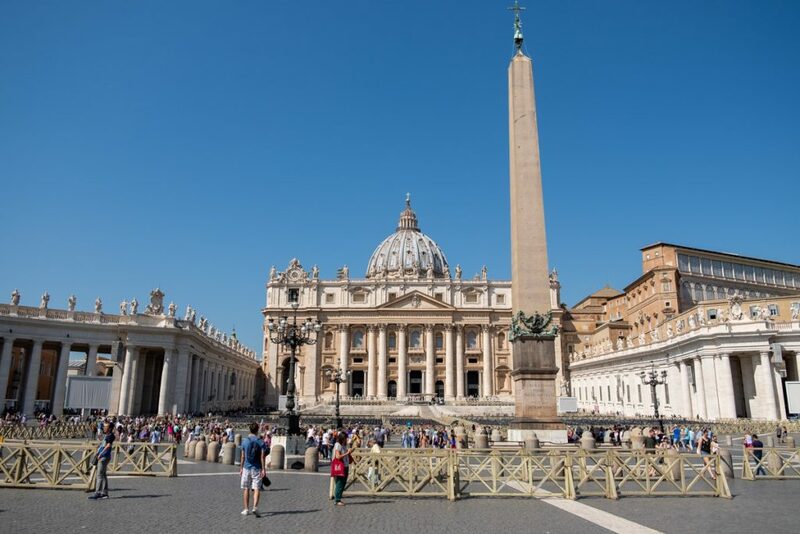 The line for tickets to the Basilica was long, but moved quite fast, which was appreciated as the sun was sweltering. I must say, as far as churches go, this one is pretty awesome. 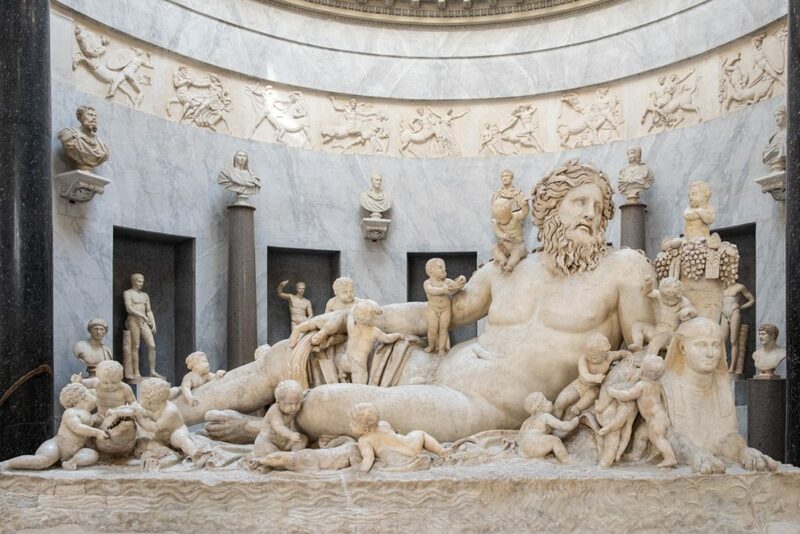 It’s huge, and is decorated with amazing sculptures and artwork. I took a tour of the catacombs below the building which was interesting, but not impressive. I tried to see if the Pope was available on my way out, but got the cold shoulder from reception. 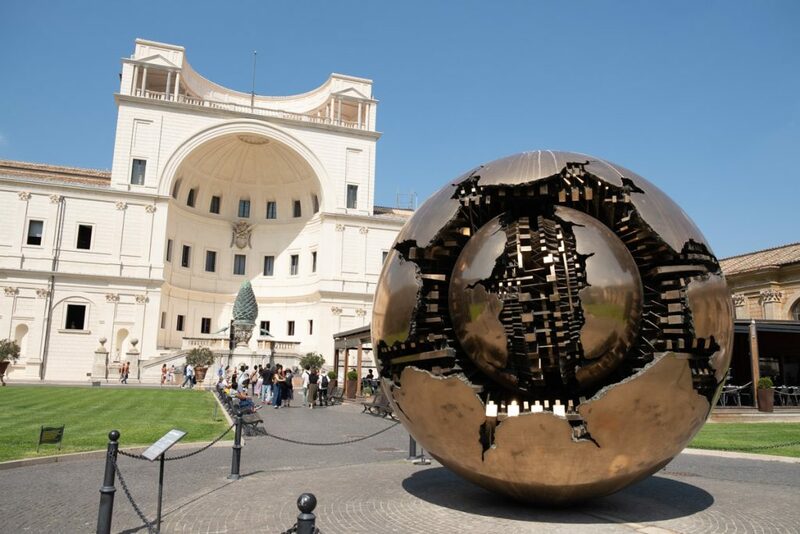 I had a timed ticket for entry into the Vatican Museum, but when I showed up 40 minutes early and saw there wasn’t any line, I walked in, exchanged my voucher for a ticket and started my tour. 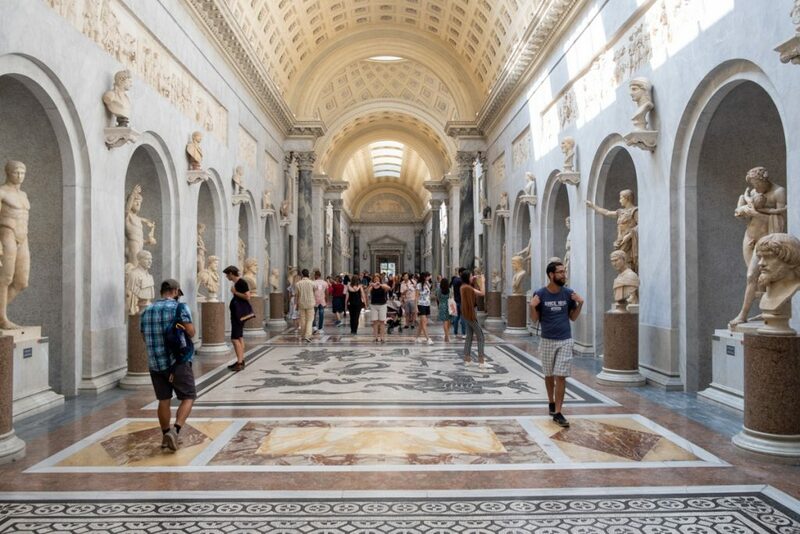 The Vatican Museum is one of the largest in the world. I opted to skip the audio guide and just use my guide book. Well, it wasn’t very helpful, I got lost right from the start. I eventually make it to a center courtyard where I decide to stop and have very late lunch at the cafe and see if I couldn’t figure out a plan for exploring the museum. After a quick and tasteless lunch, I headed back in to explore. 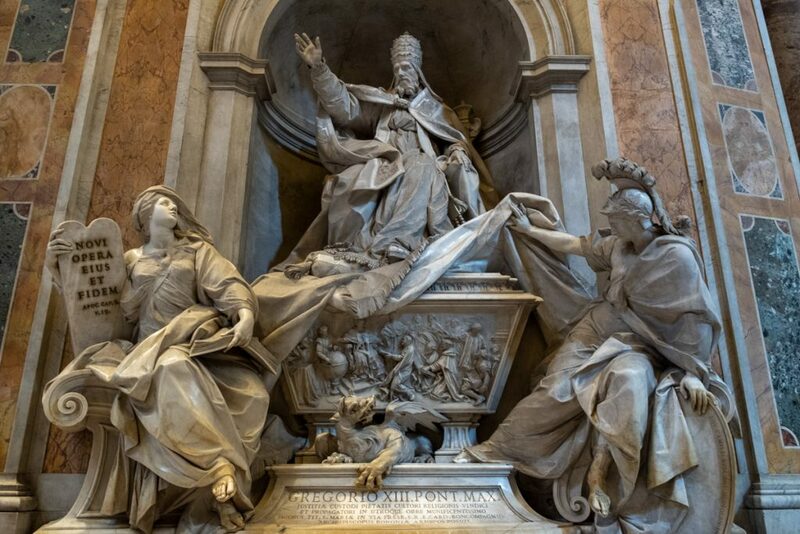 There is a large collection of sculptures and paintings – for some reason they seem to be big on the religious themes here at the Vatican. I’ve said it before, art like this is wasted on me. I browse the paintings at an above average pace. The halls are packed with large group tours mulling about and clogging things up. I have to push through to get around them, they seem to have no desire to get out of the way when asked. 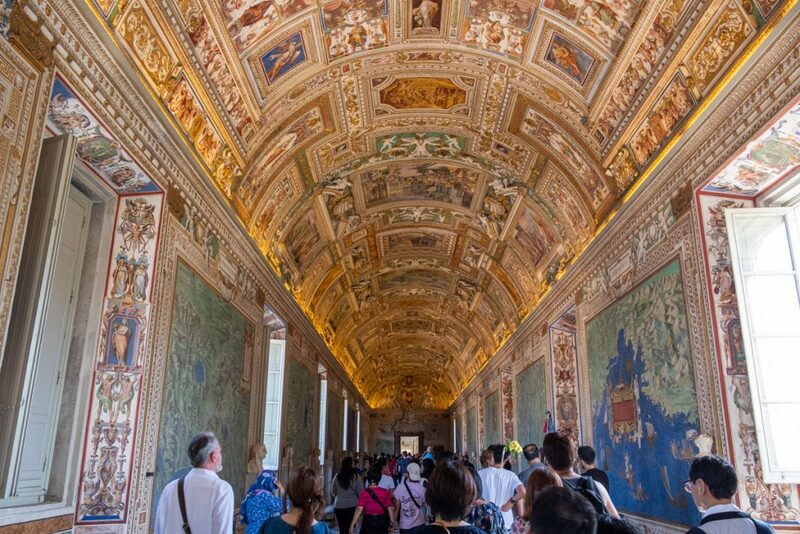 The signs all keep pointing towards the Sistine Chapel like it should be just around the corner. It’s not. This museum is huge and the chapel is supposed to be the treat at the end. It takes a while but I finally reach it. 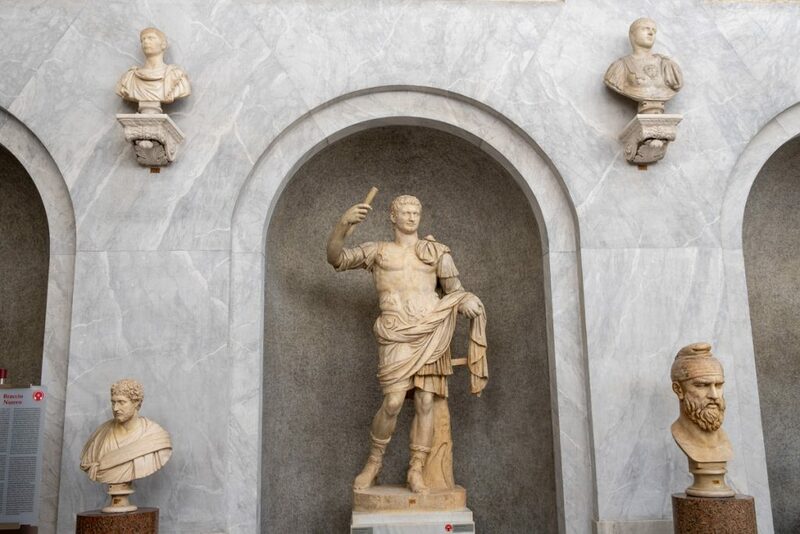 Thankfully, I think it meets the hype, that Michelangelo guy was pretty good with a brush. No pictures allowed though. Back to the hotel to relax and get cleaned up before dinner. I asked for a couple of dining recommendations at the front desk. I tried the closest of the two. Must say I was disappointed once again. A tiny piece of lasagna (bland), bread (which they charge for – welcome to Italy), and side salad (OK). I return to the hotel, my belly full of disappointment and call it a night. Tomorrow, I attempt to see the Colosseum and Roman Forum. Wow great pictures. 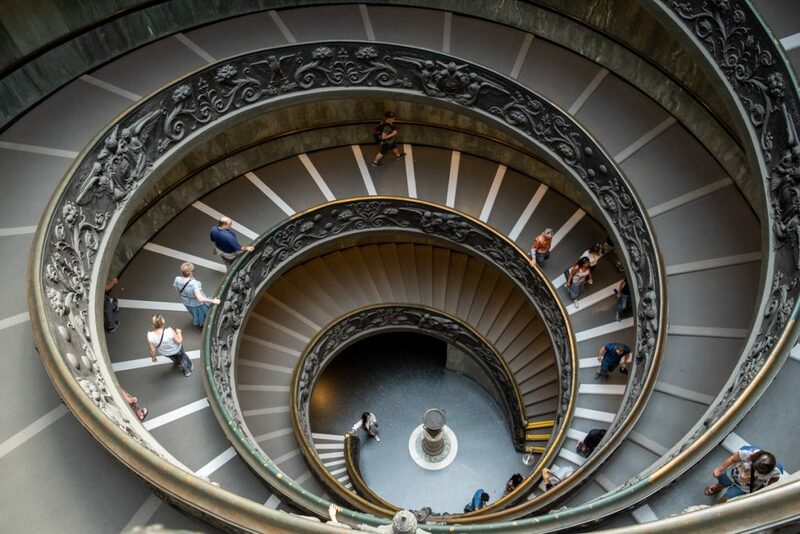 That spiral staircase shot looks like an Escher drawing.. Need to know if italian food is better over there than here? 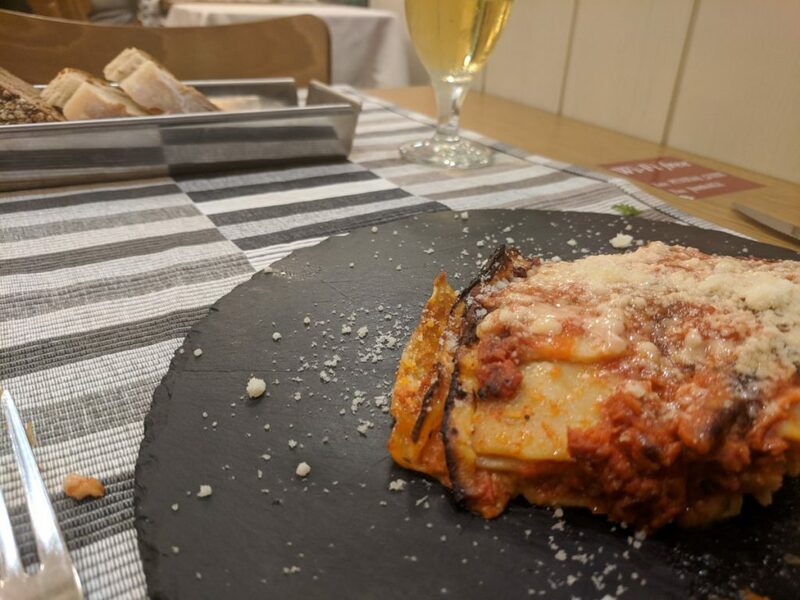 Your food looked pretty amazing in Salzburg Austria..so…betting that beats olive garden..